I have actually been doing a lot of scrapping lately, but just haven't been able to get anything on here due to time issues. This summer is flying by and we've been busy busy. Went to the beach last week and we are going to Six Flags this week. 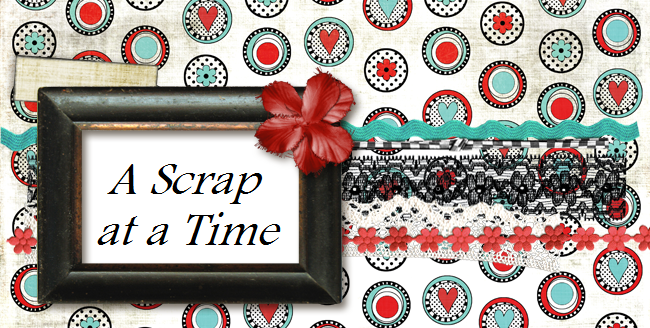 I've also been participating in Memorable Seasons Last Scrapper Standing contest. I've made it past the first 2 rounds and am waiting for the results of round 3. Will post those LO's later, they are some of my favorites. This is a LO I did using a Sketchy Thursday sketch.